Attorney General Jeff Sessions is set to testify in front of the Senate Intelligence Committee this week in response to James Comey’s testimony this last week. 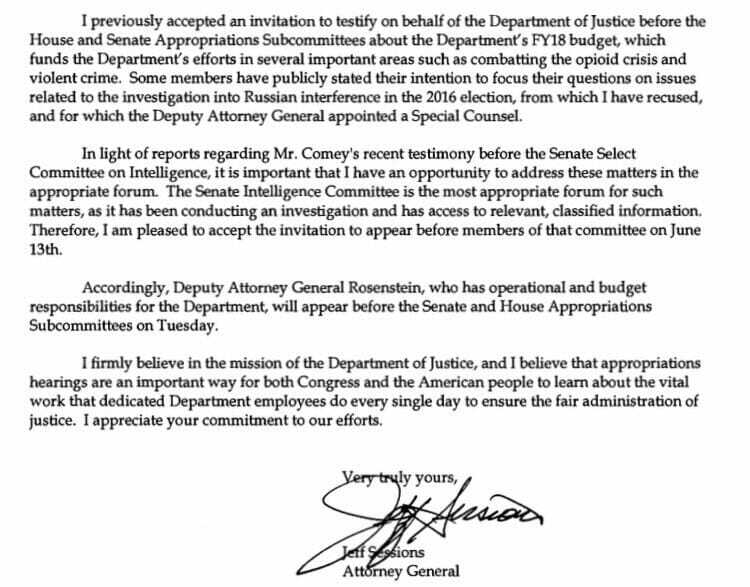 Sessions was originally going to testify before the House and Senate Appropriations subcommittees this week but released a statement (which you can read below) that says he will send a deputy to that hearing after finding out that lawmakers would be grilling him regarding the investigation of alleged ties between the Trump administration and Russia. In light of reports regarding Mr. Comey’s recent testimony before the Senate Select Committee on Intelligence, it is important that I have an opportunity to address these matters in the appropriate forum . . . 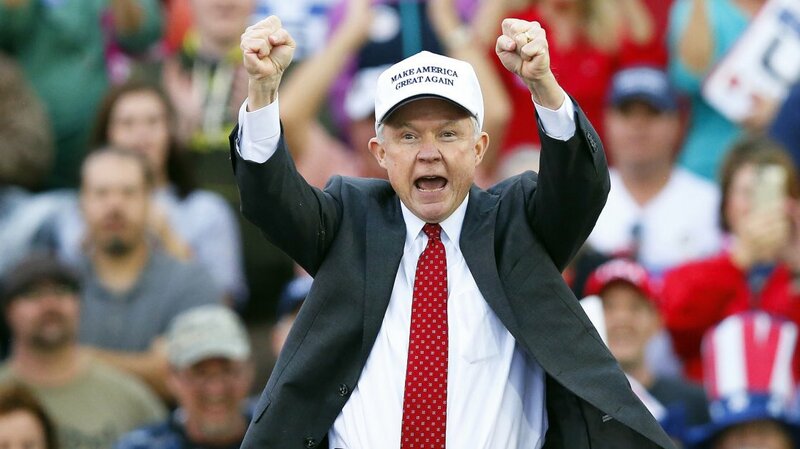 Sessions will appear in front of the committee on June 13, 2017.